A little more than a year ago, the World Health Organization (WHO) reported that in 2012 around 7 million people died — accounting for one in eight of total global deaths — as a result of exposure to air pollution. These estimates more than doubled the previous ones, and confirmed that air pollution is now the world’s largest single environmental health risk. The WHO concluded that reducing air pollution globally could save millions of lives. But, what policy changes would be most effective at saving lives? The answer comes from a new study published in the journal Nature Climate Change (May 4, 2015.) The study, (US power plant carbon standards and clean air and health co-benefits), was based on data from the Census Bureau as well as detailed maps of the more than 2,400 fossil-fuel-fired power plants operating across the U.S. 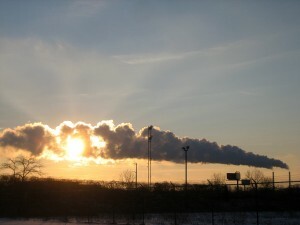 It outlines how changes in carbon dioxide emissions could lead to considerable health benefits for the U.S population. According to the WHO, the diseases caused by air pollution include ischemic heart disease (40%), stroke (40%), chronic obstructive pulmonary disease (11%), lung cancer (6%), and acute lower respiratory infections in children (3%). For the new study, the researchers analyzed three possible policy options for power plant carbon standards. The policy option leading to the biggest health benefits was the one that included changes proposed by the U.S. Environmental Protection Agency (EPA) on June 2, 2014, in the Clean Power Plan. Modeling analysis indicated that this option could prevent an expected 3,500 premature deaths in the U.S. every year, and avert more than a thousand heart attacks and hospitalizations annually from air pollution-related illness. Thus, according to the study, the formula presented in the draft Clean Power Plan is on the right track to provide large health benefits, and these health benefits depend entirely on critical policy choices that will be made by the EPA in the final Clean Power Plan expected in July. The Plan is the nation’s first attempt to establish standards for carbon dioxide emissions from power plants. It is also viewed as an important signal of U.S. leadership in the run-up to international climate negotiations in Paris in December. 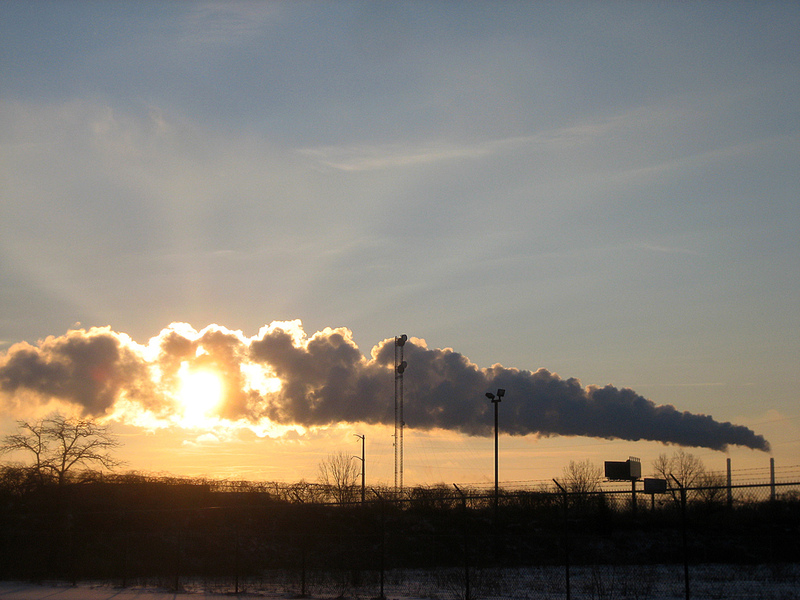 Power plants are the nation’s largest source of carbon dioxide emissions that contribute to climate change. However, they release not only carbon dioxide, but also other pollutants such as sulfur dioxide, nitrogen oxides and particulate matter — precursors to smog and soot that harm human health. The study considered the added health benefits, or co-benefits, of carbon standards from reductions in the emissions of these other air pollutants. Sabrina Tavernise and Coral Davenport wrote in the New York Times that if enacted as devised, the rules could eventually close hundreds of coal plants and freeze construction of new coal plants for the foreseeable future, while encouraging the construction of new electricity generation from natural gas, wind, solar and other low-carbon energy sources. Yet I feel this argument is foolish. Yes upgrading power plants will be costly but unless something is done, climate change will damage our planet beyond repair. We’re already seeing an increase in the number of storms and the intensity is increasing as well. Hurricane Sandy cost $50 billion, Hurricane Katrina was $105 billion. These 2 storms only cost the U.S. more than the cost of converting 12 states to clean power plants. I feel like even that since it is so expensive that people won’t want to take the leap to fight for a cleaner environment. Most people today are not concerned with global warming and other issues affecting our planet. People want to spend the money on bigger issues. Plus the country is in so much debt that boosting the economy and trying to decrease inflation are the main priorities that people focus on. The Clean Power Plan would indeed be a nice piece of legislation for the United States, and could very well set a precedent for the rest of the World. However, developing countries and countries that have just recently hit their industrial revolution may not be so keen on spending money on cleaner power options. I feel as though corruption and incompetence will be major factors as to whether or not some of the biggest global offenders, such as Pakistan and China, get on board with trying to reduce carbon dioxide emissions in their countries. The Clean Power Plan is a brilliant piece of legislation, but I feel like politicians are more concerned with other policies at this time. I feel like it will be harder to regulate for areas that are more urban based. States that are more rural will have fewer carbon emissions, so I feel like politicians of larger urban states will not vote to pass this plan. For example, Texas’ Attorney Ken Paxton is against the Obama Administration’s plan for Clean Power. I think over time this program will be effective, but for the short term it will not be successful. The entire country needs to support this idea for a total environmental makeover to occur. On it’s surface the plan sounds beneficial. However, as we have seen recently with some of the proposed net neutrality legislation and also the Affordable Care Act, politicians try to sneak other bits of non-related legislation in. I see this as people like Ken Paxton saying,”Sure, I will give ground on this issue, but I require this in return.” We could have the Clean Power Plan voted in to law but also have to renew a few not so beneficial aspects of the Patriot Act. The environmental regulations imposed by the Environmental Protection Agency (EPA) concerning clean air can be argued from two sides of the spectrum. For argument sake, let us call them activists, those who are concerned about the negative impacts of air pollution on the environment, biodiversity, ecosystems, and ozone depletion. Then, there are those in an industry that will have to revamp the methods of processing products for effective remediation. Such restructuring of infrastructure and equipment may cause fiscal strain for the particular industry. In November 2014, President Obama sought to push for an environmental legislative to issue a series of regulations on air pollution, soot smog, mercury and planet-warming carbon dioxide. Economic performance (GDP) is not in question here when the EPA accessed peer-reviewed studies that show that the implementation of the clean air act has proven quite beneficial overall. Implementing the clean power plan is a great first step in reducing our role in air pollution and global warming. Although the overall plan to invest in cleaner energy sources is cost effective, the immediate economic impact is negative. According to the fiscal times, this plan would decrease the GDP by 51 billion dollars whilst increasing electricity costs by $289 billion. In addition, it will costs the state millions to make sure that the standards required by the plan is enforced by the power plants.This may seem very costly but when compared to the health benefits and positive impact on the earth, it seems like a very small price to pay. Human impact on the environment is on the rise due to the globalization and an increase in technology and production. 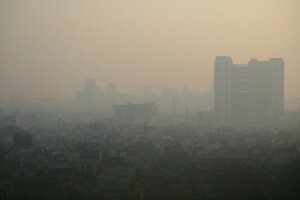 As more emissions are released into the environment, the effect on human health needs to be monitored. There have been various studies on how air pollution in major cities like Beijing and Tapei negatively affect diseases like asthma and diabetes. There are even links between an increase in the risk of osteoporosis and air pollution. As time goes on environmental scientists and clinicians will need to collaborate on research endeavors to propose solutions that will benefit the Earth and the future populations.